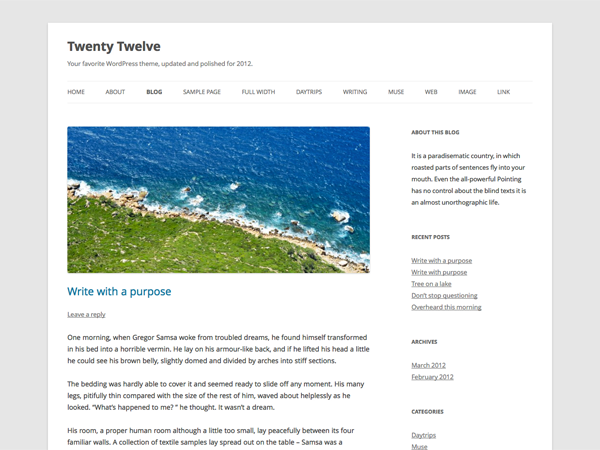 The site is using the Twenty Twelve theme by the WordPress team . A simple widget perfect for displaying upcoming events from your Google Calendar. This plugin installs a sidebar widget that can show the upcoming events from a Google Calendar feed. A simple, user-friendly photo gallery plugin for your WordPress site.